Our Legal Services business has been around for more than a decade. This year it enters an exciting new chapter after joining forces with Funeralcare to create a unified business supporting people through key times of their life. Caoilionn Hurley, the new Director of Legal Services, talks to Rachel Machin about her hopes for the future. Scientists may have quashed the age-old idea about left-brained and right-brained people, yet I’m sitting in front of a lady who’s not only numerate (she transformed Thompsons Solicitors from a £25 million business into a £120 million one, and came to the Co-op in 2014 to turn around multi-million loss-making Legal Services within a couple of months – putting it back in the black). But she’s also a law graduate who later carved out a career in accountancy. Just as I’m feeling wholly inadequate about my inability to do my nine-year old’s maths homework, let alone turn multi-million pound businesses around, there’s another hidden talent I need to ask her about. The fact she’s also the creative brain behind Hidee handbags – the high-end hobby she does in her spare time. It’s clear Caoilionn is not one to shout about her achievements. Her modest attitude is evident throughout our conversation – as is her focus on how others have supported her success. “I’ve been very lucky to be able to carve out the time to pursue both my creative and numerate side. I would genuinely struggle if I had to give up one for the other. They’re equally important to me,” she says. Her new role as Director of Legal Services means she’s channelling her creativity into another project, but she’s not grumbling. Working with the Heads of Practice, Caoilionn is on a mission to change how people view the law. “I believe the law gives people a voice – in fact it is your voice. The law gives people protection and certainty. It’s the golden thread that keeps everything in social order. 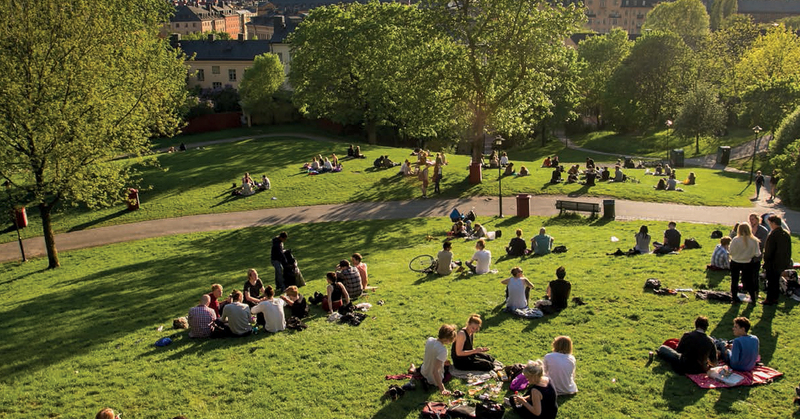 “The opportunity is enormous to take a trusted brand like the Co-op and encourage people to engage with the law in a more proactive and planned way. Far too many people see the law as something they turn to when they’re having a dispute. You can completely avoid disputes by using legal instruments in advance to clarify people’s roles and responsibilities. “To me it’s like moving Lucozade from a hospital drink to a health drink. Lucozade used to be a drink you only had if you were sick. The law needs a similar overhaul,” she adds. But before Caoilionn’s team can tackle the massive task of changing social habits, the business needs to bolt down the basics. Creating a seamless experience for clients during these important moments is why Legal Services merged with Funeralcare earlier this year. “There’s a huge symbiotic relationship between the funeral business and Legal Services – it makes perfect sense,” she enthuses. 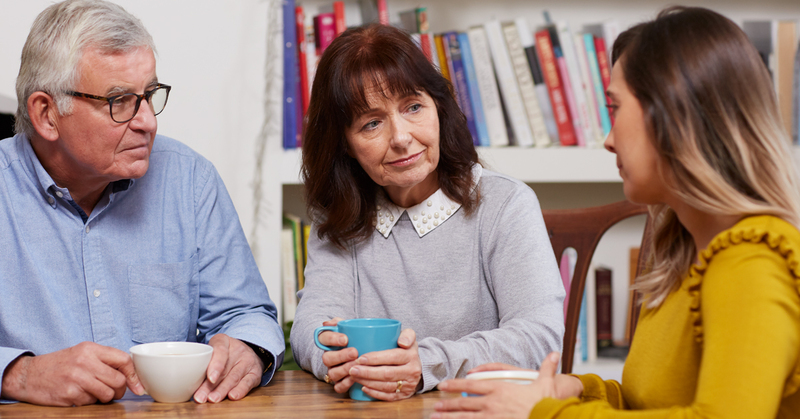 “If we really get it right we’ll be able to assist people from the moment they decide to move into a more serious life planning phase through their funeral, all the way through to wrapping up their affairs. Providing the right support is a very constructive way of engaging with people in communities. “Lawyers provide products that give people that certainty, control and peace of mind. We should be able to provide further support to those who buy funeral plans for example. “We should also have enough appeal in our own right that people come to us a bit earlier. Each brand should be equally strong – we want to ensure we give as much to the funeral business as they can give to us – we have to drive value,” she stresses. “We had a client who recently wrote into us – his father had died in hospital as a result of a very tragic clinical negligence. We had dealt with his clinical negligence claim, the funeral business had buried his father, and we’d also administered his Probate on the estate. Throughout our conversation Caoilionn’s positivity and energy is infectious. She’s excited about what Funeralcare and Legal Services can achieve together, especially in the digital space. Working with others is everything to Caoilionn. “I would say that my success is completely driven by the success of the team. I’m a big fan of our brown rice. Love the £1 cold meats – they’re amazing. In three words, what kind of culture would you like to see at the Co-op in the future? What’s your top priority in the next couple of years? Really drive the contribution of the legal business to membership and the commercial success. 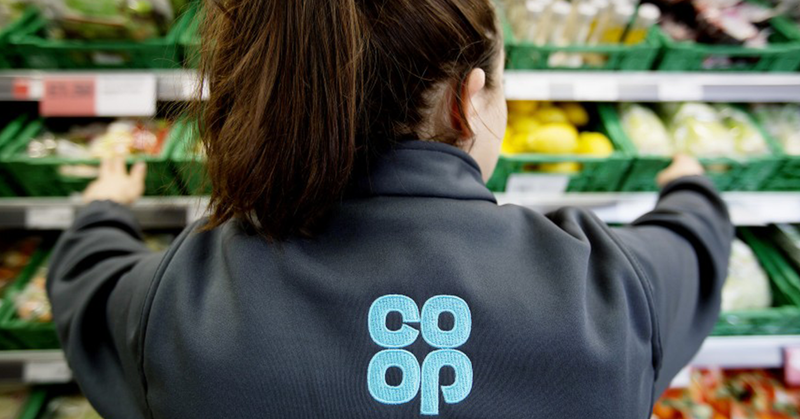 What’s the one bit of advice you’d give to your fellow leaders working in our new Co-op? Use your resources and pick your priorities carefully – you can’t do everything. Proudest moment at the Co-op: When I read client letters and feedback saying the service we gave them has had a huge impact on their lives. What makes you happy outside work? Has to be my family. I live with three men: my husband and two sons. They make me laugh every day of my life. Learn how to be a very good bridge player.